Are Kim Kardashian and Kanye West Engaged?! Is Kim Kardashian engaged to Kanye West? Rumors that this power couple would take the big leap have circulated for months, but they reached a fevered pitch in recent days. Why? Blame Ryan Seacrest, who teased the possibility during a recent radio show. Ryan suggested that Kanye might pop the question to Kim during their romantic vacation in Italy, where they celebrated her 32nd birthday. So, what happened? Nothing. Kim Kardashian and Kanye West aren’t engaged, at least as far as their friends and family know. In fact, one of Kim K’s best friends, Jonathan Cheban, says he’s heard nothing about it — and he would know. Cheban said that Kim “wrote me this morning and didn’t mention it.” Could she be waiting to break the news in person? Probably not. The way news gets around about Kim and Kanye, there’s no way they could hide something this big from the tabloids. It seems a bit premature for Kim Kardashian to get engaged before she’s legally divorced from her ex, Kris Humphries. Actually, getting engaged while still technically married is more than premature: It’s flat out tacky. 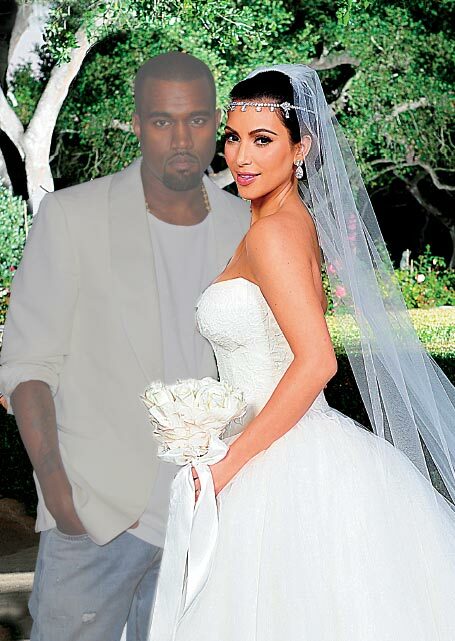 Once Kim gets her divorce though, all bets are off…she and Kanye West will almost certainly get engaged then!